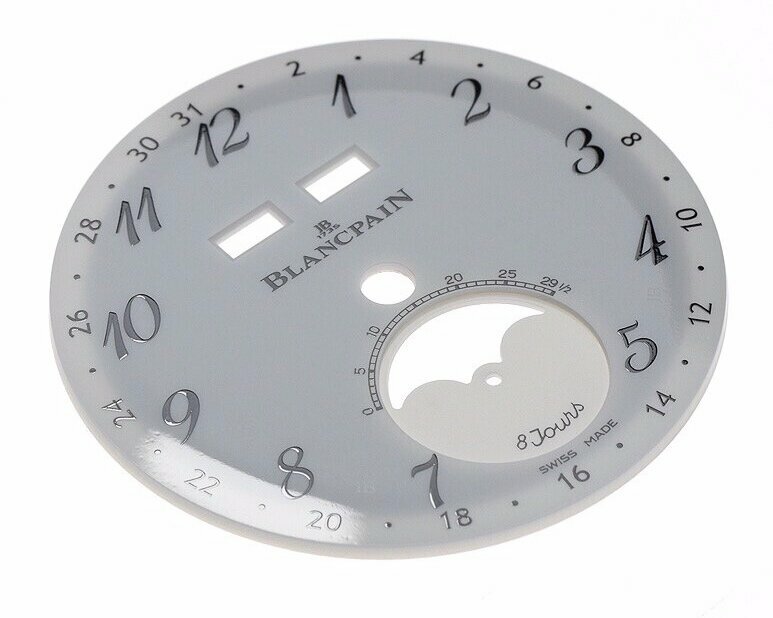 One of the original designs that personify the Blancpain brand. 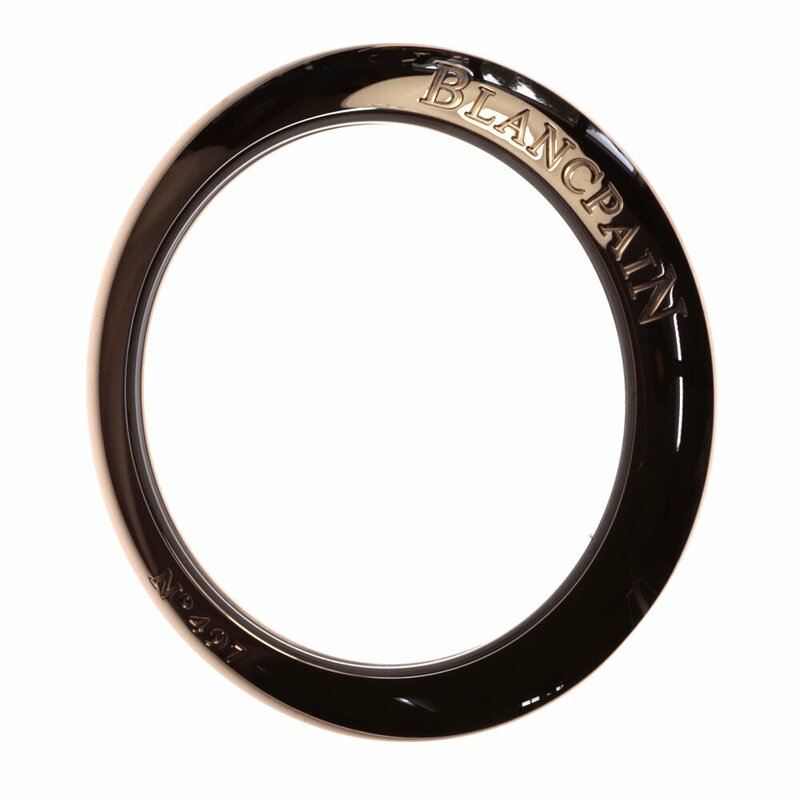 Case material 18ct red gold Case thickness 13.07mm Case diameter 42.00mm Water resistance 3.00 bar (approximately 30 meters) Between shoulders 23.00mm Sapphire crystals front and back with anti-reflective coating. For additional technical information regarding the basic calibre refer to the Fifty Fathoms deconsruction here. The rotor mass. During assembly and initial testing of the movement, a working mass is used and only replaced with the definitive mass once the calibre is completely finished and ready to be cased up. Recto-verso of the dial showing its translucent quality which adds depth to the dial when cased up. The gold minutes, hours and seconds hands with the blued steel serpentine shaped date hand. The dial side of the movement, dial removed showing the calendar and moonphases mechanism. Every element is decoratively finished, spotted, straight or circular grained and angled. The moonphases disc, the lever to its lower right is the manual corrector linked to the case pusher. The dial and all discs removed. The yellow wheel assembly at the bottom of the image is the primary drive wheel for the calendar and moonphases system. The levers are a combination of correctors to manually adjust the mechanism, index pawls (or levers) to position the different wheels in a specific position until it is turned, and operating levers which move the different functions automatically by the watch running. The majority of the components removed from the module. The levers and springs that contribute to the calendar mechanism. Casing elements. A simple but original and effective corrector system is shown below, avoiding any need for additional pushers or other tools. 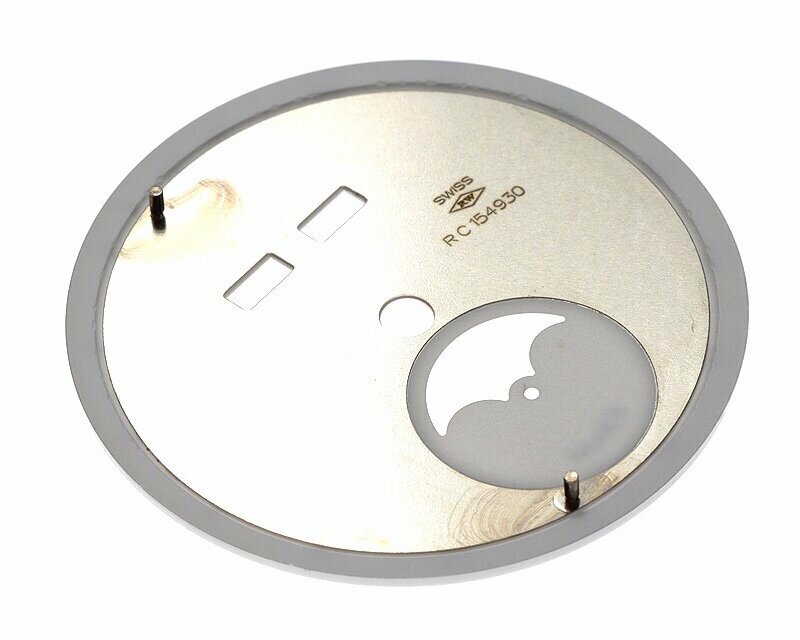 The individual functions of the module can be adjusted by pushing these correctors with a finger tip towards the centre of the case back. Case centre with seal in place. The overall design and format of the calendar and moonphases is today highly recognisable and used by many different companies, since the 1940's. The overall technical execution is designed for longevity and will outlive many contemporary versions by other brands. It is solid and simple to assemble and has been well thought through holistically. 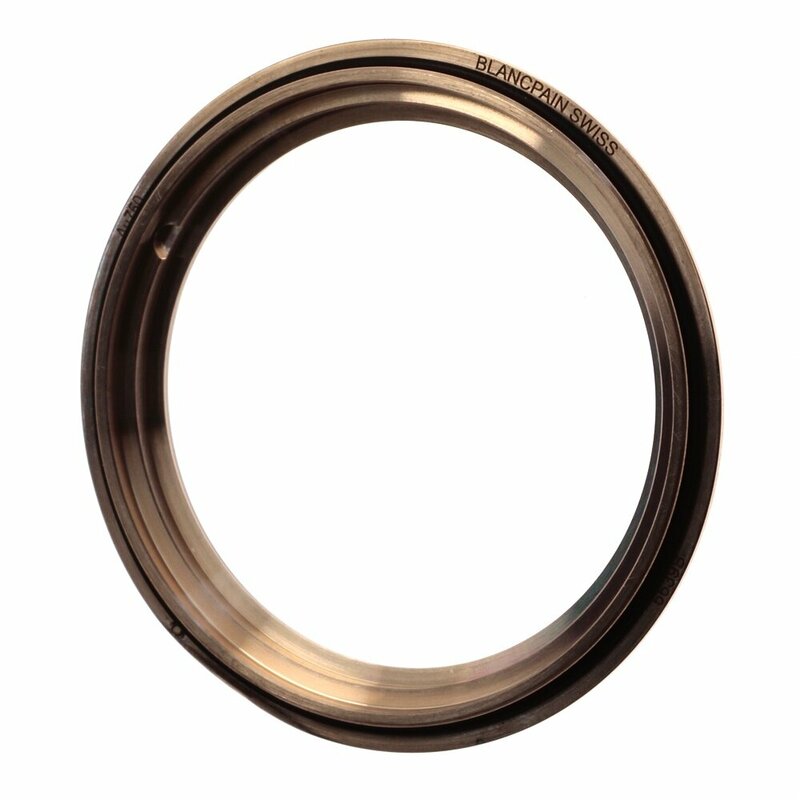 A significant element although small in appearnace is the under-lug corrector system. Avoiding additional tools reduces the likelihood of damaging the case and keeps the programming process easy. Diverse views of the assembled watch. To learn more about this Villeret model please click on the Lettres du Brassus and view edition 8.